OLED TV, first released in Q4 2013, recorded approximately 50,000 units of shipment each in Q1 and 2 this year. The shipment increased to 100,000 units in Q3, more than twice the amount of each quarter in H1 2015. As it is estimated that close to 200,000 units were released in Q4, over 90% of LG Display’s 2015 target is expected to be achieved. 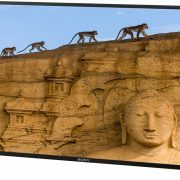 This is considered to be showing price competitiveness against other TV as the price of OLED TV fell to 1/2 of the initial price and effectiveness of aggressive marketing emphasizing the advantages of OLED TV compared to newly released LCD TV. 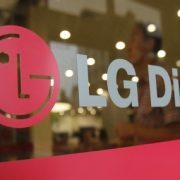 In Q3 earnings results announcement, LG Display revealed their plan of 1,000,000 units of OLED TV panel shipment in 2016 and forecast OLED TV’s growth. 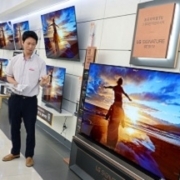 For the industry, 2015 has been the year that secured foothold for OLED TV’s market expansion. At the time of Galaxy S6 and Galaxy S6 Edge’s release, Samsung Electronics estimated the initial supply to be 50:50. However, Galaxy S6 Edge showed 70% in actual demand and this led to shortage in supply. Samsung Display met the demand by starting flexible AMOLED line operation earlier than scheduled. 2015 proved future market growth potential by opening consumers’ wallets through designs possible only with flexible AMOLED panel. During the Q3 earnings announcement, Samsung Display revealed their plan to expand non-Samsung clients by 30%. Accordingly, in Q3, when smartphone market’s growth was expected to slow down, the sales performance improved by 13% compared to its previous quarter through key client’s new product release and expansion of client base. Particularly, the market occupation of AMOLED panel shipped toward China is analyzed to have increased within the global mobile market as Chinese set companies released AMOLED panel equipped smartphones. Apple, which has been using LCD panel for all products, first applied flexible AMOLED panel, produced by LG Display, to 2015 smartwatch Apple Watch and drew much attention. In H2, Apple diversified suppliers by using Samsung Display’s flexible AMOLED panel. This move is analyzed to be groundwork for flexible OLED application to smartphone following smartwatch. 2015 has been a year with much interest in when flexible AMOLED panel equipped iPhone will be released. Global OLED lighting industry went through a great transformation in 2015. OLEDWorks announced they will acquire key parts of Philips’ OLED lighting business, relevant production facilities, and intellectual property. With this take over, OLEDWorks greatly expanded business through widened product portfolio and simultaneous lighting panel mass production in the US and Germany. LG Chem. transferred OLED lighting business to LG Display. The value of transfer is 1.6 billion KRW, and it is seen to be a strategy to increase competiveness by transferring the business to LG Display with their OLED panel mass production knowledge and to focus on existing materials business. The take over and business transfer of the main players in OLED lighting industry, OLEDWorks and LG Chem., are following their own business strategy. However, following these moves, related investment is expected to be delayed for some time and eyes are on how these will affect the OLED lighting business overall.